One day after its license to operate an online poker room was suspended by the Alderney Gambling Control Commission, rumors are swirling that Full Tilt Poker may be looking to obtain a license from the Kahnawake Gaming Commission (KGC) to resume games. While the IP address for www.fulltiltpoker.com is still located in Ireland, a trace route for the IP address shows that traffic is routed through the Kahnawake Mohawk Territory. The final destination was masked, as the trace route did not terminate, but was unable to display the next destination. Given the nature of Internet traffic, it is highly unlikely that traffic would be routed through the Kahnawake Mohawk Territory unintentionally. No one from the KGC was immediately available for comment. Full Tilt was at one time licensed by the KGC. But in 2007, when the U.K. released new rules requiring online casinos, sportsbooks and poker rooms to be licensed by white-listed jurisdictions in order to run advertisements, the Kahnawake Mohawk Territory wasn't one of the white-listed jurisdictions. Full Tilt applied for and received a license from Alderney, which is located just off the northern coast of France, thus allowing the company to continue to market itself to a U.K. audience. Like Full Tilt, the KGC has seen its share of controversy. Both UB.com and Absolute Poker are licensed by the KGC, and cheating scandals in those poker rooms — combined with the lack of a timely response by the KGC — stained the reputation of the licensing authority. Full Tilt has had problems meeting its financial obligations since many of its assets were seized and its owner, Ray Bitar, was indicted by the U.S. Attorney for the Southern District of New York on money laundering and bank fraud charges on April 15. According to the KGC's regulations, corporations applying for an online gaming license must have "a good business reputation, sound current financial position and financial background." American players still have no idea when they might be paid the balance of their accounts, and players outside the U.S. have also reported problems receiving withdrawals. Even if Full Tilt is able to find a new jurisdiction willing to grant them a license, it may be difficult for the company to find a payment processor. Moneybookers announced yesterday that they would no longer allow players to deposit money on the site, as Full Tilt had been blocking player withdrawals to the payment processor. UPDATE (4:50 p.m. ET): The KGC has issued a press release stating that Full Tilt has held a "Secondary Client Provider Authorization" with the KGC since July 2010. "The KGC issues a Secondary CPA only in cases where an operator holds a valid license issued by a primary jurisdiction and has its head office and focus of operations in that primary jurisdiction," the release reads. It goes on to say that as a result of the AGCC's actions, it is reviewing "all available information" to determine whether that relationship should continue, and that an announcement with regarding that decision will be made shortly. My take: Well, what else could Full Tilt Poker have been expected to do? Let the online poker cheating go on! 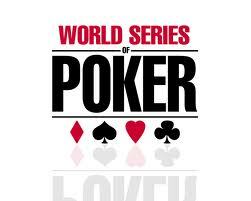 Is It True That Cheating Has Decreased At The World Series of Poker? In fact, it is. Why? The main reason is the sheer size of the event. Since professional poker tournament cheating syndicates thrive on collusion cheating at the poker tournaments, they have been taking their poker cheat operations elsewhere, mainly to smaller tournaments on the World Poker Tour and other professional poker tournament circuits. Actually, cheating at the World Series of Poker has been declining for several years now, ever since the entry fields exploded to several thousand players for the main event as well as other events. Huge fields like those make it more difficult for the collusion cheating syndicates to get one or more of their members to the final table or even down to the last few tables. If they do not get a player or two down very deep in the tournaments, they will not make a profit, and professional poker cheats are not in it to lose money. Of course other forms of cheating have thriven at the World Series of Poker, mainly chip dumping, chip pass-offs, chip hold-outs, even counterfeit-chip play. All these forms of tournament chip-cheating are implemented to get the poker cheats more chips in their tournament arsenal. But do to some highly publicized WSOP chip-cheating scandals the past few years, these forms of cheating have decreased as well. Has poker-cheating been on the decrease overall?